Make plans to join the SWGFA for an afternoon of Star Wars fun! The SWGFA will be meeting at Heroes Landing on Sunday, February 13th from 2:00pm to 6:00pm. The physical address for the shop is 12348 Roper Blvd. Clermont, FL 34711. If you have questions about directions, please call the store at 352-242-XMEN (9636). We are glad to welcome back original Darth Vader helmet & suit, CZ-3, Death Star Droid helmet and Stormtrooper armor sculptor, Brian Muir! He will be signing autographs on officially licensed photos, posters, figures, helmets, etc. for $20.00 each and there will also be copies of his book "In the Shadow of Vader" available for purchase directly from him. Brian has worked on such films as A New Hope, Indiana Jones, James Bond, The Dark Crystal, Sleepy Hollow, Planet of the Apes, Alien, Lost in Space, Tomb Raider, Harry Potter and many more! If you cannot attend, but you need items signed by Brian, send an email here and we will accommodate your requests. We also want to welcome fan and commission artist James Hance, a very successful artist with many pop culture mash-ups that show a great love for Star Wars. Be sure to stop by, say hello and check out his portfolio. As has become a custom at all SWGFA events, there will be door prizes! All you have to do is walk in the door, sign in and grab a raffle ticket for your chance to win! Drinks and snacks will be available for purchase at the comic shop which includes Pepsi, Diet Pepsi, Mountain Dew, Dr Pepper, Aquafina Water, Orange and Grape Crush, and other similar drinks. They also sell lots of novelty energy drinks like Ghostbusters, Futurama Slurm and more. 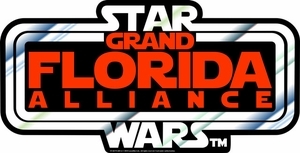 All SWGFA, Rebelscum.com, TheForce.net, 501st Legion, Rebel Legion and R2 Builders Club members will receive 15% off all in store purchases. You must print out this ad and submit it at the check out counter to receive your discount! If you have any other questions, please feel free to send them here. We look forward to seeing you on Sunday, February 13th at 2:00pm at Heroes Landing! May the Force be with you...always.